You don’t want to miss out on this valuable resource! 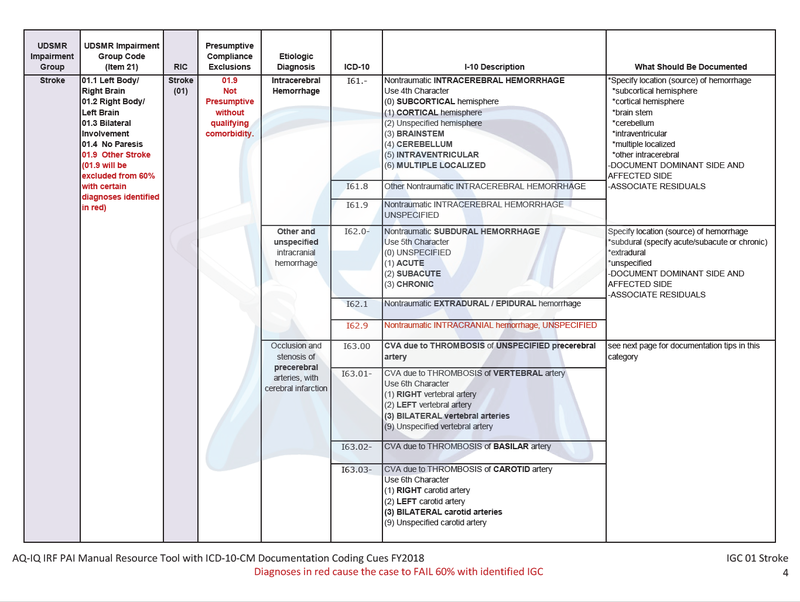 Define all diagnosis codes listed in section 6 of the IRF-PAI manual. Identify codes in section 6 that cause the case to meet and/or fail presumptive eligibility (60%). 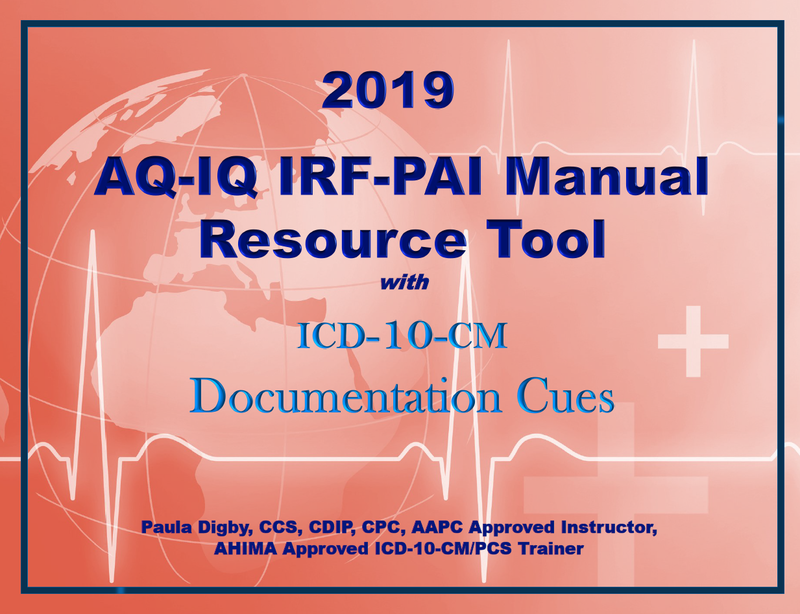 Provide documentation clues and cues to tell your physician what to say about each diagnosis in Section 6 of the IRF-PAI Manual to assist you with achieving presumptive eligibility (60%); medical necessity and ICD-10-CM specificity. In addition, there is a section devoted solely to documentation of IRF services to achieve 60% and capture tiered comorbidities. Define the payment logic of IRF services provided to CMS patients. Identify IGCs as 60% compliant/non-compliant and provide IGC selection clues and cues. Click here for details on using this resource. The FY2018 Version of this book is ready to ship.